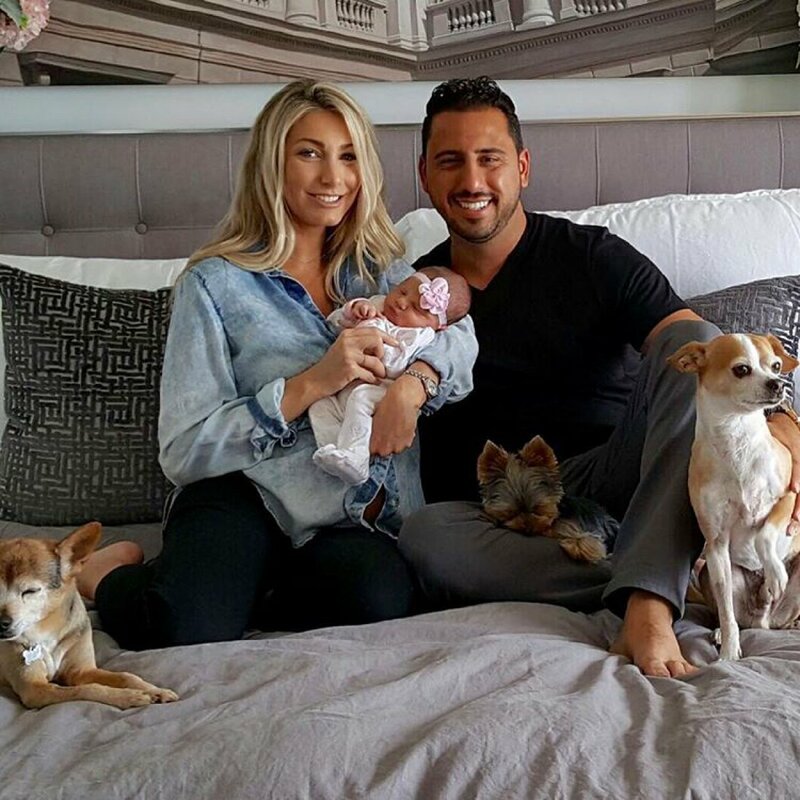 Josh Altman is a first-time dad. The 38-year-old "Million Dollar Listing Los Angeles" star announced in an Instagram post Thursday that wife Heather Altman gave birth to daughter Alexis Kerry on Monday. "The greatest day of my life. April 3rd at 4:55pm @theheatheraltman and I welcomed our amazing baby girl Alexis Kerry Altman into the world," Josh captioned a photo of himself with Heather, Alexis and their dogs. "This angel is absolutely perfect," he gushed. "To experience the birth of your child is such a mind blowing event that is greater than anything I can describe. I'm so happy and proud of my wife for handling this like a champ." "Life has definitely changed in an instant, and from gazing into my baby girls eyes, I can tell you it just got much better," the star concluded. Heather, nee Bilyeu, shared the same picture on her own account, writing, "She is absolutely perfect! I'm so in love, more than I ever thought I could be!" Josh and Heather had announced Alexis' name at their baby shower in January. The couple married in Aspen, Colo., in April 2016 after a three-year engagement, and shared their baby news in September. "We are so excited about having a baby girl!" Heather gushed to Bravo's Daily Dish the same month. "My mom and I are very close and I was her mini-me ... I can't wait to have my own mini-me, my own built-in bestie." Josh has starred on "Million Dollar Listing" since Season 4, with Heather also appearing in Season 8. The Bravo series follows the professional and personal lives of a group of real estate agents in the Los Angeles area. Justin Theroux on his marriage to Jennifer Aniston: I "have an ally"